Barcelona has been a pioneer in adopting measures to boost renewable energy and facilitate the development of solar installations in the city. A good example of this is the Comprehensive Solar Bye-law Manager (GIOS), an on-line tool aimed at the sector's professionals. This tool simplifies the procedures for obtaining the municipal licences necessary for thermal and photovoltaic solar energy installation projects, according to the process set out in the Solar Bye-law (title 8 of the Barcelona environmental bye-law). When project managers start the procedure, they receive instructions for registering on the GIOS. 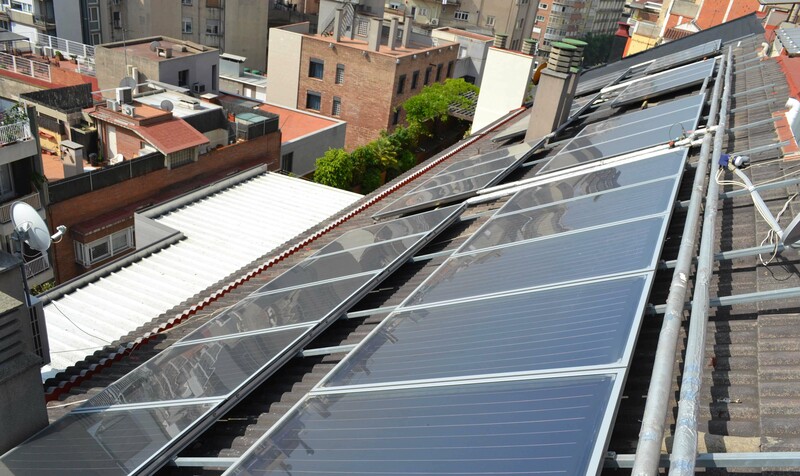 Under the terms of title 8 on solar energy of the Barcelona Environment Bye-law (OMA), which was published in the BOPB on 2 May 2011, it is compulsory to plan systems for harnessing solar energy to produce sanitary hot water and electricity in new or renovated buildings or buildings whose uses have undergone comprehensive changes. Certification is required prior to obtaining the building and first occupancy permits, and is formalised by a supplementary report (solar report) issued by the Barcelona Energy Agency. Do you want to start a solar energy installation project? Do you want to process the end of installation solar energy report prior to first occupancy notice? Do you want to arrange a consultation for a pending solar energy installation project?